Foods that contain carbohydrates and alcohol, like dry red wine, are especially likely to affect blood sugar, also called blood glucose levels. If you are diabetic, it's especially important to monitor your blood glucose and to watch how much and what kind of alcohol you drink. Cabernet sauvignon, pinot noir and merlot are some of the driest of the red wines. According to the U.S. Department of Agriculture, these wines contain about 4, 3 and 4 grams of carbohydrates, respectively, in a 5-ounce serving. Foods that contain carbohydrates -- especially in liquid form -- can cause a drastic and sudden increase in blood sugar levels. 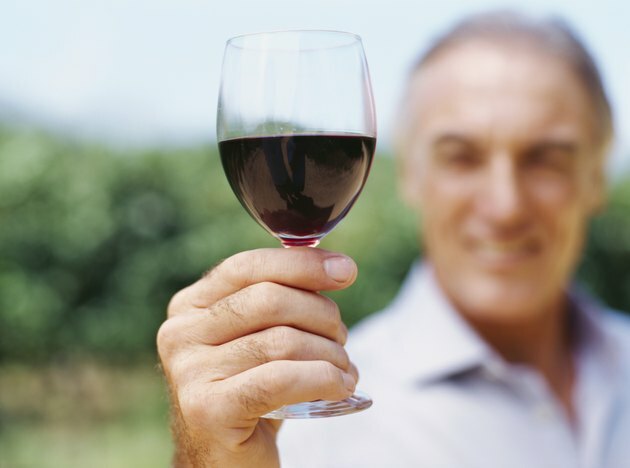 In addition, certain types of alcohol, such as dry red wine, may cause your glucose levels to increase initially. However, drinking more than one serving of dry red wine at a time may lead to the development of hypoglycemia, or low blood glucose levels, if you are diabetic. University of Illinois Extension: What Impacts Blood Glucose Levels?